I read this article and found it very interesting, thought it might be something for you. The article is called How To: Write a Sympathy Note and is located at http://modernloss.com/how-to-write-a-sympathy-note/. When it comes to writing condolence letters, it’s hard to know where to begin. You might find yourself searching for just the right words, and in their absence conjure up reasons to avoid the task altogether. But persevere, says Rosalie Maggio, the author of “How to Say It: Choice Words, Phrases, Sentences & Paragraphs for Every Occasion” and “Great Letters for Every Occasion,” among many other books on communications. Maggio recently spoke with Modern Loss about what to say to the bereaved, when to say it, and how to avoid common pitfalls when it comes to expressing sympathy. What is your advice for getting started writing a condolence note? Concentrate on the bereaved person. Imagine all they have lost, what their life was before the death and what it’s like now after it. Forget about yourself — that you too are sad, that you can’t think of anything to write, that you’re afraid of saying the wrong thing. Every time you get anxious about writing the note, return to thoughts of the other person. Let your concern (or even your feeling of duty) toward the other person drive you to writing your note. 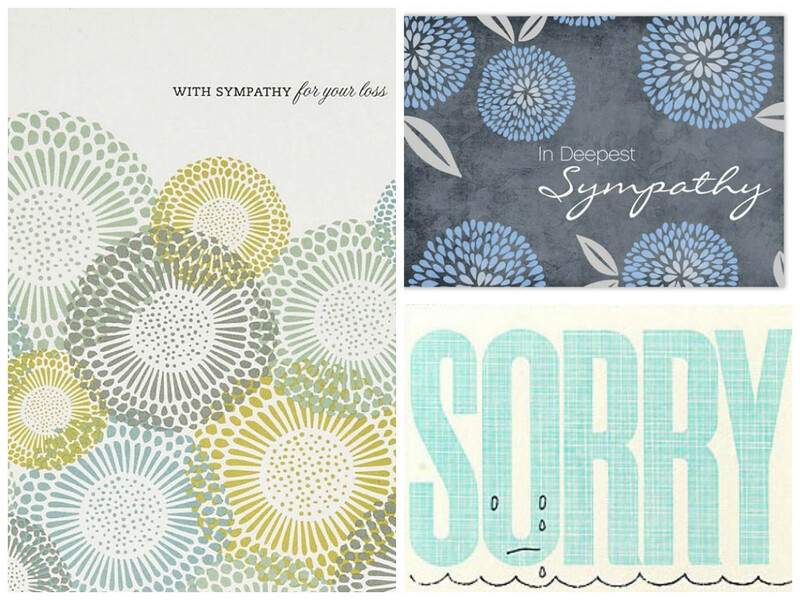 What are some qualities of the best condolence notes? 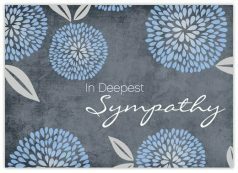 A welcome expression of condolence is always a handwritten note, never simply a commercial sympathy card with your signature. And although I can think of a few exceptions, generally do not type your note, and avoid email. The most treasured condolence notes contain an anecdote, a remembrance, or the description of a beloved quality in the deceased person. Absolutely nothing is more appreciated than telling about the last time you saw the person, about something you did together, about something witty or memorable the person once said. As long as it is all about the person who just died, you cannot write too long a letter. If appropriate, a good condolence message mentions at the end other bereaved family members. You may be close to only one person in the family, but it is thoughtful to mention the others (“also send my love to … “). How soon after a person’s death should these letters be written? Is it ever too soon or too late? It is never too soon to write. In cases where you are very close to the bereaved person, you might telephone or visit immediately, but you will still want to send a note later. In most cases, yes, the house is turned upside down and all is confusion, but there is almost always someone delegated to answer the door and take phone calls. Visits and calls hardly ever come amiss. It is also never too late to write. It may be hard to come up with a good reason for the long delay (having been in a coma would seem to be one of the few possibilities), so it’s best to get past the tardiness issue by writing something like, “I am so sorry to be writing you only now.” Then continue with your thoughts about the death. You may be sure the bereaved person is still grieving, no matter how late your note is, and will appreciate your thoughts and concern. Ignoring the death entirely is what might be difficult to forgive. What prevents people from writing sympathy notes in a timely fashion? Feelings of inadequacy. When confronting one of life’s worst tragedies, we understand that the only truly helpful thing we could do would be to turn back the clock, to undo the dreadful event. Anything short of that is, on the face of it, inadequate. To overcome this paralysis of inadequacy, be humble: write the very small, modest thing that is the condolence note. No, it’s not much, but it’s all you have. In my experience, the bereaved are generally dazed and not themselves. All that really penetrates at times is the small flag of comfort, support and love — the known person standing with them against the Great Unknown. Are there situations in which a note isn’t appropriate (e.g. the person is a close relative and the sentiments are better expressed in person)? I cannot think of a time when a handwritten note isn’t better than person-to-person condolences alone. Nothing is so comforting as a human face, a warm human hand. And a few comments from those exchanges may even be remembered. But the bereaved person needs those notes, now and in the months and years to come. People react differently to condolence messages, but for all those who will refer to them again and again, always write one. Do you have any tips for being tactful when you’ve had a complicated or fraught relationship with the deceased? Whatever your differences with the deceased, you are writing to the bereaved, therefore your focus is entirely on their loss, their grief. It is especially in these cases that you want to depend on tried-and-true sentiments: you are sorry for their loss, you hope time and memories will be some comfort, you send all your sympathy. Unless you remember an anecdote or story that shows the deceased in a very positive light, you don’t really need to mention the person. Simply send your condolences to those who are left. Finally, is there anything that you should almost always leave out of a letter of condolence? Two things. First, do not include any other news. At all. You may be tempted to mention that you’ve just moved and here’s your new address. Or that you’re a grandmother for the very first time. No. The condolence letter is completely focused on the death and the grieving. Second, avoid being excessively sentimental, sensational, or morbid — telling how devastated you are by the death, how it is the worst tragedy you’ve ever heard of, how dreadful and horrible and appalling the news was. There are certain conventional phrases that express sadness: “We were shocked to hear of …”; “We were so sorry to hear about … “; “We just found out that ….” But, occasionally, people who are truly grieving for the deceased want to elaborate on how they couldn’t sleep that night, how they cried all day, what they did when they first heard, or how they heard of the death from So-and-So, who heard it from So-and-So and they couldn’t believe it either. Your feelings are a given: If you didn’t care, you wouldn’t be writing. The emphasis should be on the person who has just died and on the grieving people left behind. For Maggio’s advice on acknowledging sympathy notes, click here. For her compilation of quotations about grief, click here. The director of child and family grief support organization A Caring Hand offers simple ways to make a huge difference.